Gus Ipsen (office of NYS Assemblymember Linda B. Rosenthal, and pictured above with Rosenthal and William Repicci) was honored with a LE&RN Advocate Award at the November 10 New York #LymphWalk in Prospect Park for his role in the recent passage of the bill requiring NYS hospitals to provide lymphedema information packets to at-risk patients. New York State Senator Martin Golden delivered an impassioned speech in support of lymphatic disease research and treatment at the event as he accepted an Advocate Award for his legislative aide, Meg Brown, who was also instrumental in the passage of the bill. At the second annual Symposium, LE&RN Spokesperson and Academy Award-winning actress Kathy Bates delivered the keynote address, "Living with Lymphedema," to enthusiastic applause and multiple standing ovations. Video of the speech will be available soon. That same day, WebMD announced that Ms. Bates was being honored with their annual "Game Changer" award in recognition of her role as Spokesperson of LE&RN. With a circulation of over 20 million, this is WebMD's 12th year honoring individuals who are working to change the health care landscape, confronting health challenges and giving back to improve the lives of others. They will publish a full interview with Ms. Bates in January 2019. At the Symposium, LE&RN President & CEO William Repicci presented LE&RN's new project to create standards for Centers of Excellence for Lymphatic Disease Diagnosis and Treatment. LE&RN Massachusetts and LE&RN Texas provided information on LE&RN at the Symposium. Pictured above right: Vern Seneriz (Texas) and Lisa Palin (Massachusetts). Join LE&RN on December 4, 2018, at 12 noon EST (11am CST, 10am MST, 9am PST) for this free Livestream Symposium, "The Key to Success for Lymphedema Products and Insurance Coverage." To attend, simply visit our Livestream event page on the day of the event. If you would like to participate in the Q&A, you must be signed in to Livestream. Marianne Luh is the Founder, Owner, and CEO of Luna Medical, Inc. She will talk about insurance coverage for lymphedema products, understanding In-Network versus Out-of-Network benefits, and what to expect from an ancillary provider of compression products. 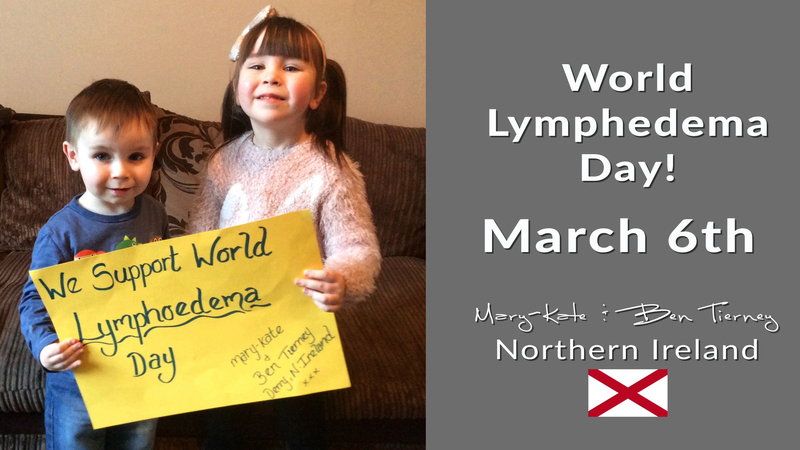 World Lymphedema Day is March 6 and we want you to represent your country in the WLD2019 video. Let's show the world that every country recognizes this day. Take your picture in front of any landmark you feel represents your country. 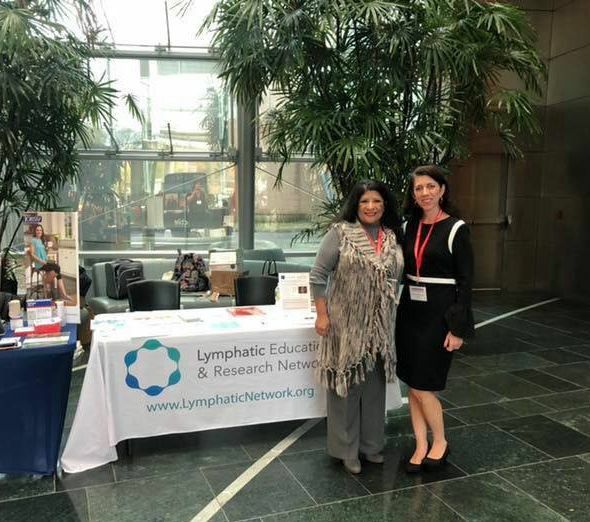 Send your photo to spalmer@lymphaticnetwork.org and tell us what country and city you are from. LSU Health New Orleans School of Nursing is looking for women with secondary lymphedema to take part in an on-line survey. On Tuesday, November 27, LE&RN Supporters participated in #GivingTuesday by supporting the fight against LD. Dozens of people came together to take part in the LE&RN #GivingTuesday Facebook fundraiser. Others participated by becoming Supporting Members of LE&RN. #GivingTuesday launches LE&RN's year-end giving campaign. 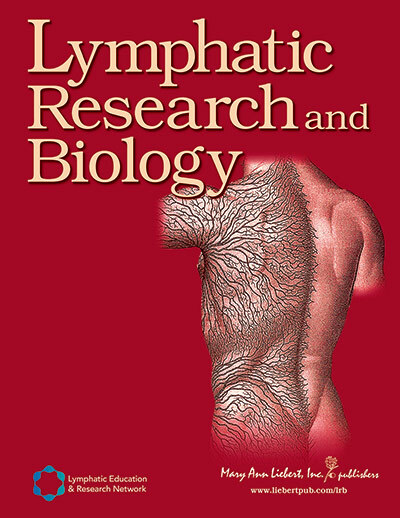 Lymphatic Research and Biology, the official journal of LE&RN, is offering free access to select articles through November 23, 2018. Researchers at Beth Israel Deaconess Medical Center in Boston, MA, are conducting a study to demonstrate the feasibility and effectiveness of acupuncture for patients with breast cancer-related lymphedema. You may be eligible for this study if you have a single arm affected by lymphedema following breast cancer treatment. More details and contact information are available on LE&RN's website. National Institute of Diabetes and Digestive Kidney Diseases (NIDDK) intends to commit $1,000,000 in FY 2018 to fund up to 3 R01 awards. More information available on LE&RN's website.